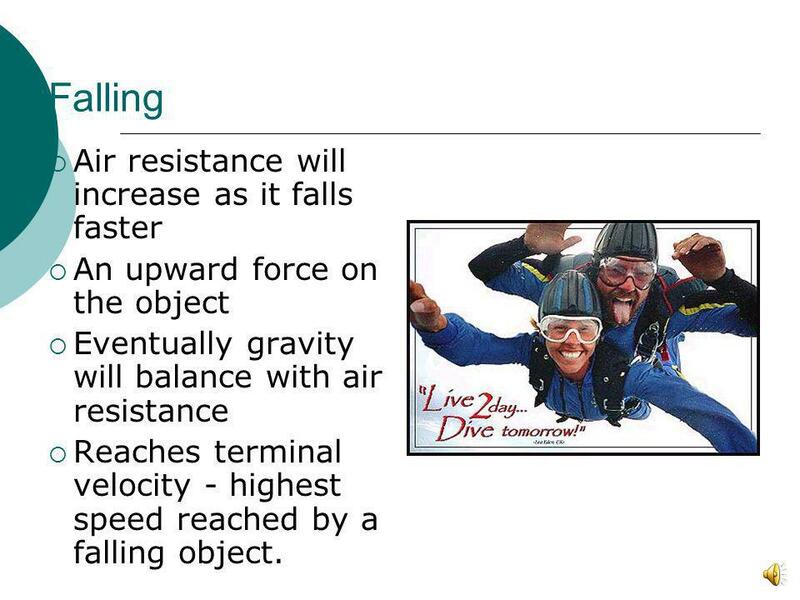 7 Question A skydiver accelerates from 20 m/s to 40 m/s in 2 seconds. 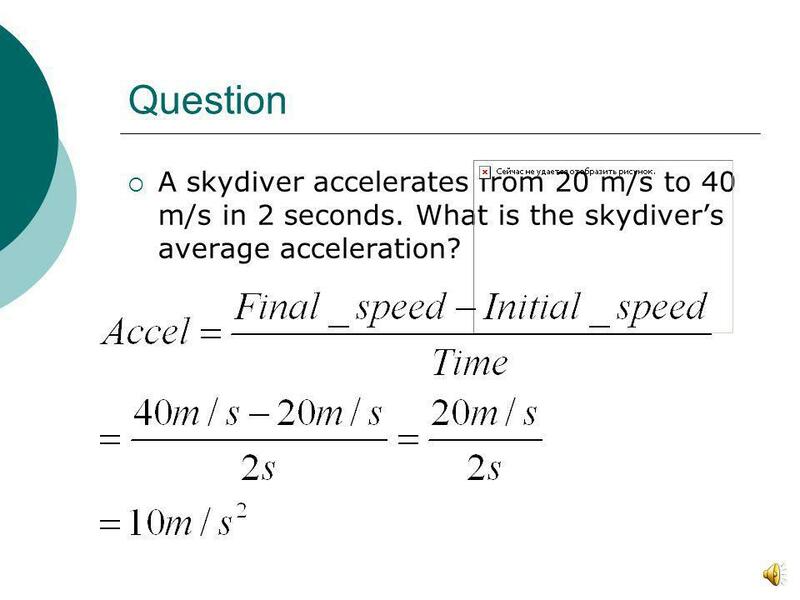 What is the skydiver’s average acceleration? 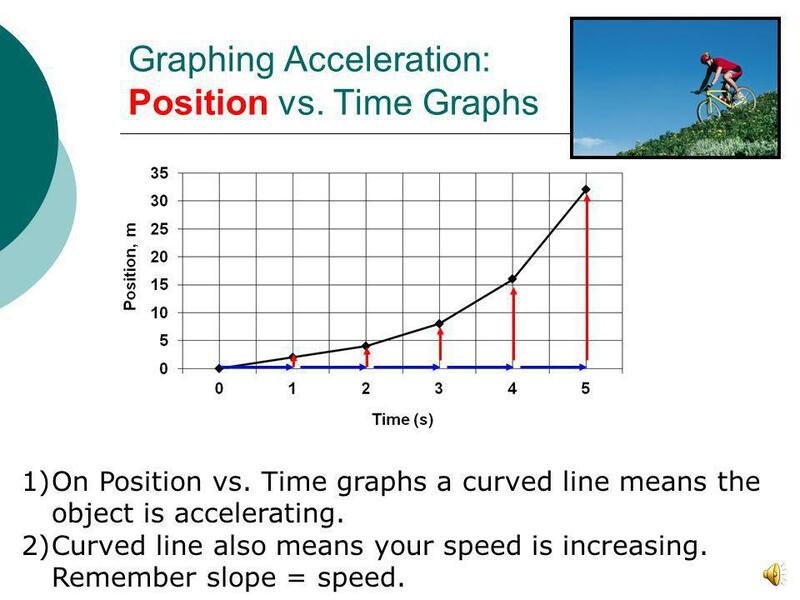 On Position vs. Time graphs a curved line means the object is accelerating. 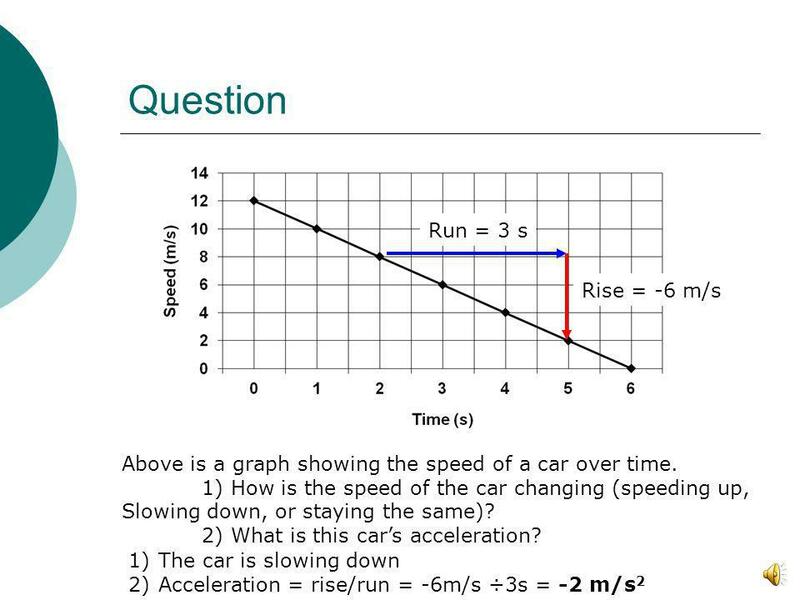 Curved line also means your speed is increasing. 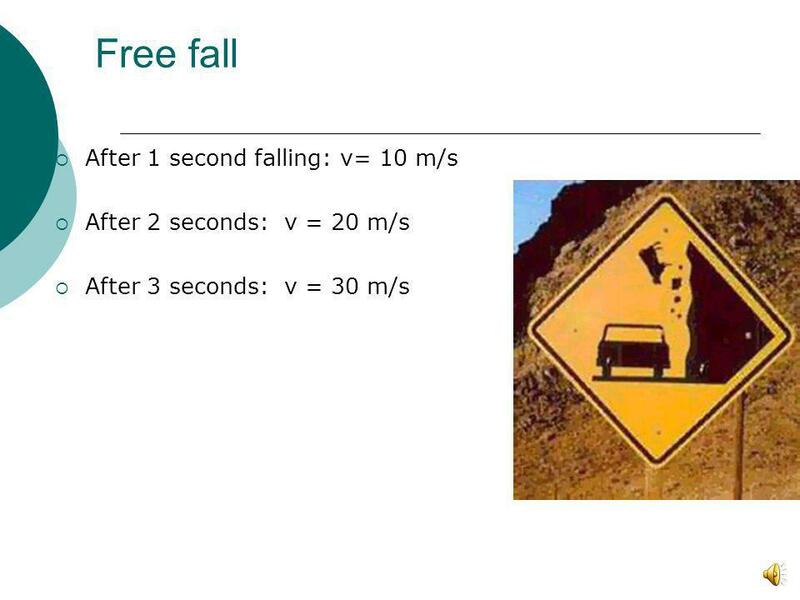 Remember slope = speed. 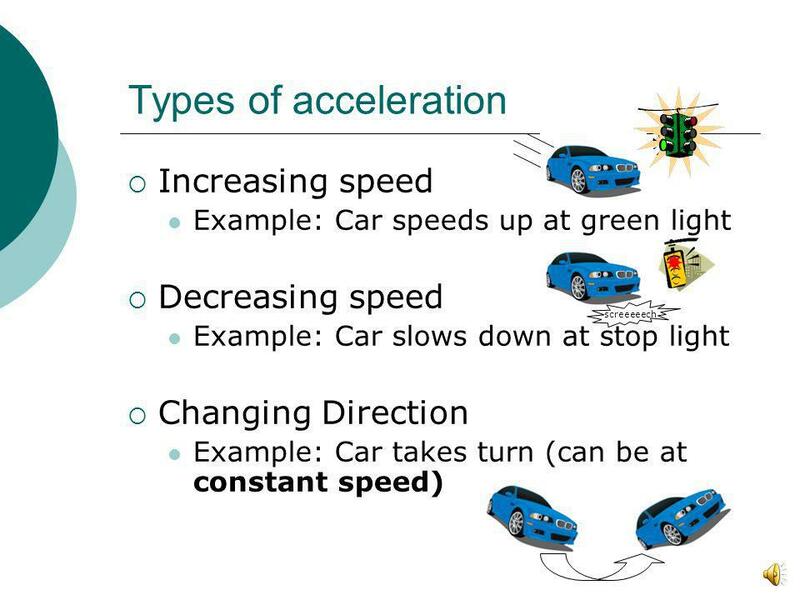 Question: The black and red lines represent a objects that are accelerating. Black is going a greater distance each second, so it must be speeding up. 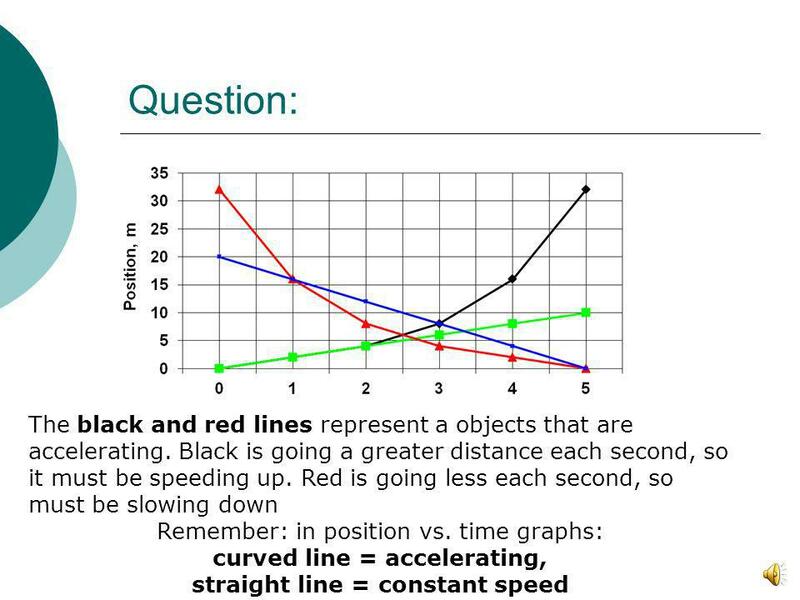 Red is going less each second, so must be slowing down Remember: in position vs. time graphs: curved line = accelerating, straight line = constant speed Which line represents an object that is accelerating? An upward force on the object Eventually gravity will balance with air resistance Reaches terminal velocity - highest speed reached by a falling object. 20 Questions Answer the following questions and me your answers. ) 1. 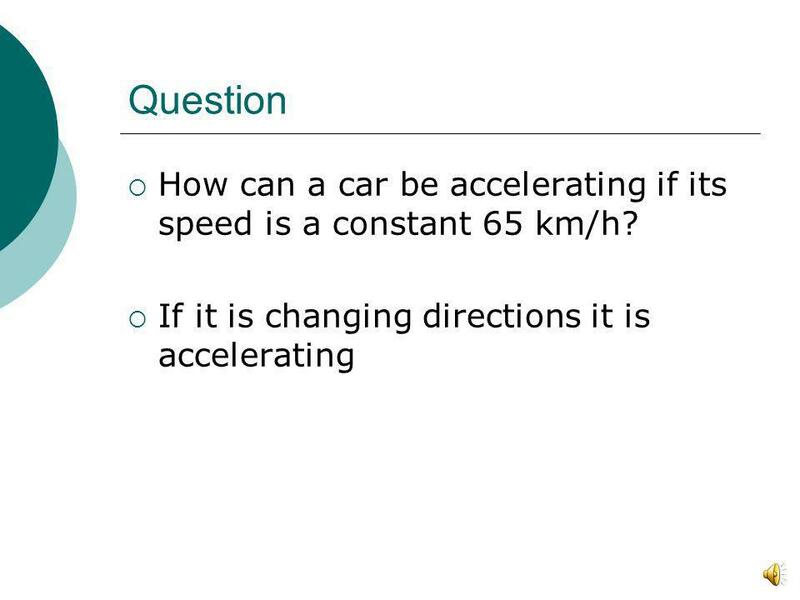 How can a car accelerate without the speedometer changing? 2. 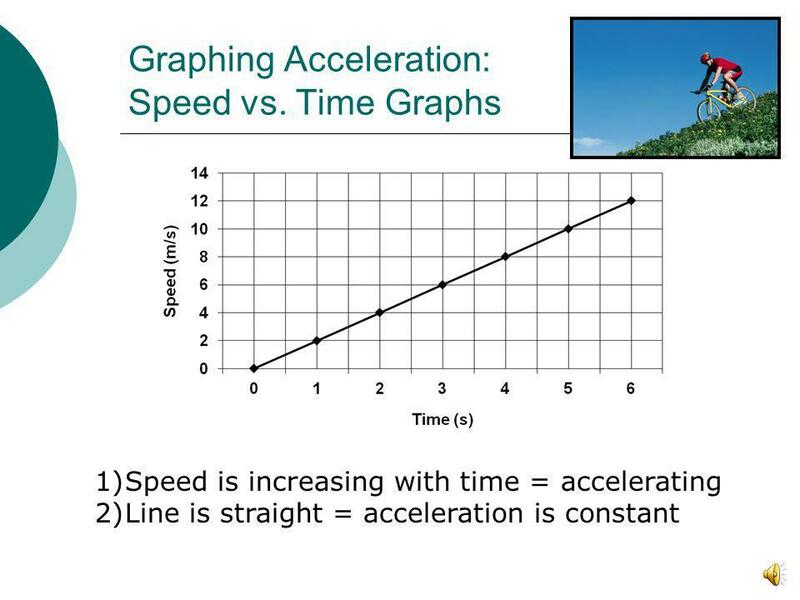 What does the slope of a velocity vs time graph give you? 3. 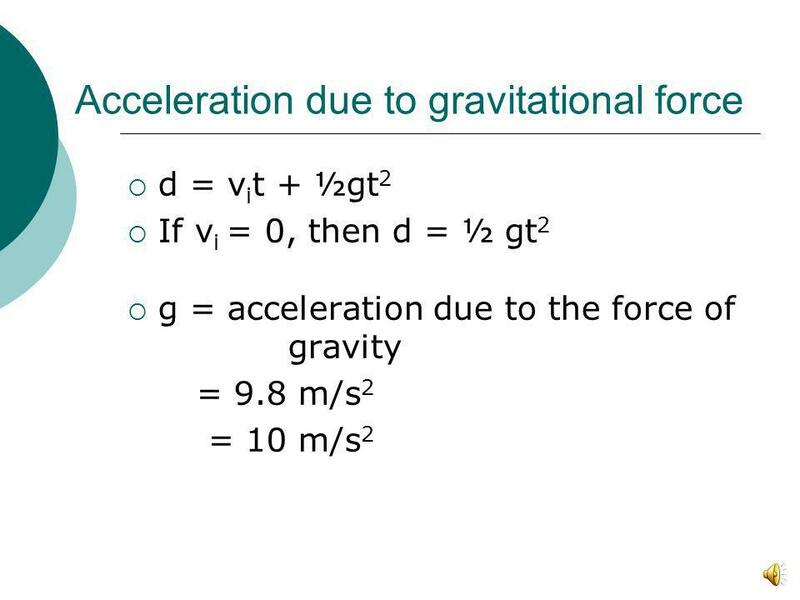 What is the value of the acceleration due to the force of gravity on Earth? 4. 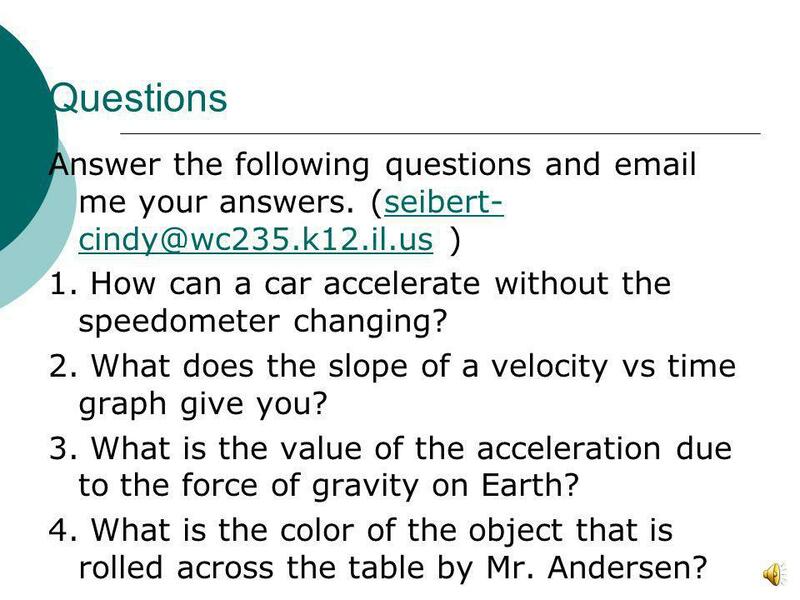 What is the color of the object that is rolled across the table by Mr. Andersen? Freefall Motion Notes Any object near the surface of the Earth experiences the pull of gravity. If released from rest, the object will fall freely toward. 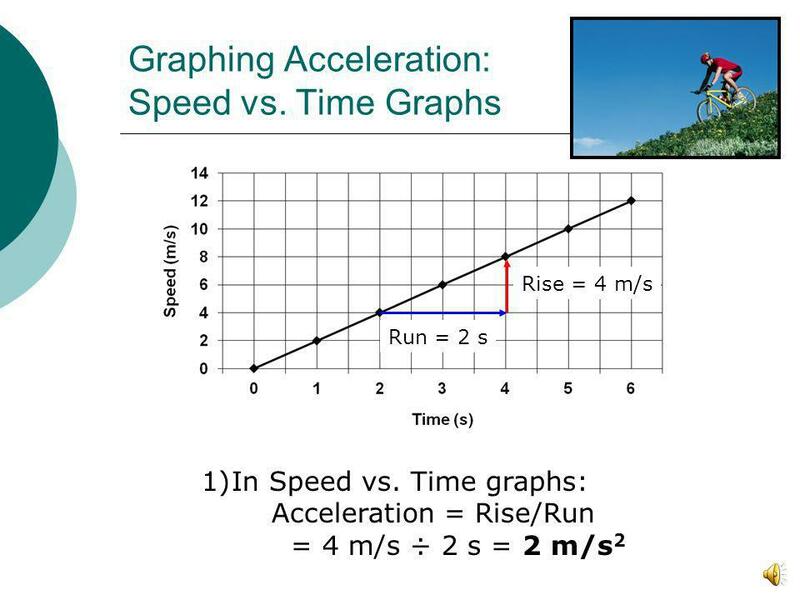 Motion can be plotted on a graph by labeling the X- axis with TIME and the Y-axis DISTANCE. Turn in your homework in the front. Begin: Journal 9/03 1. 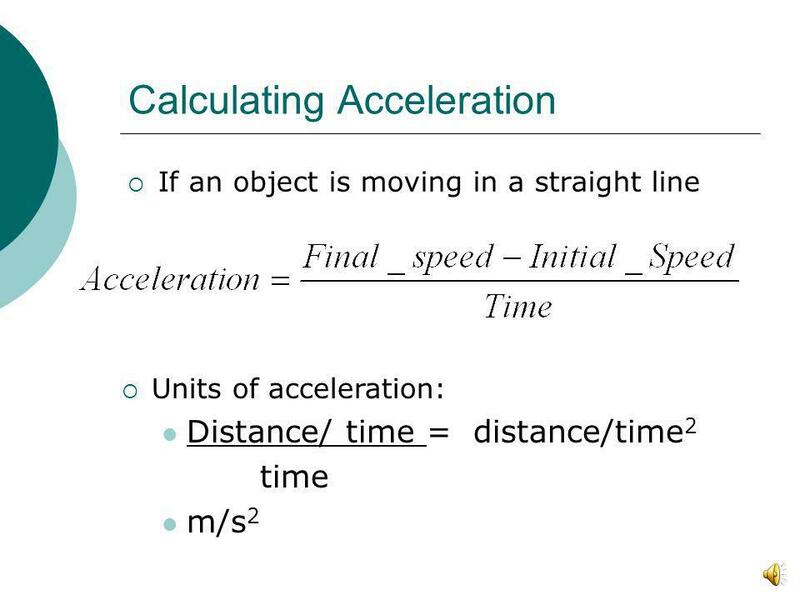 Write the equation for distance using time and velocity. 2. 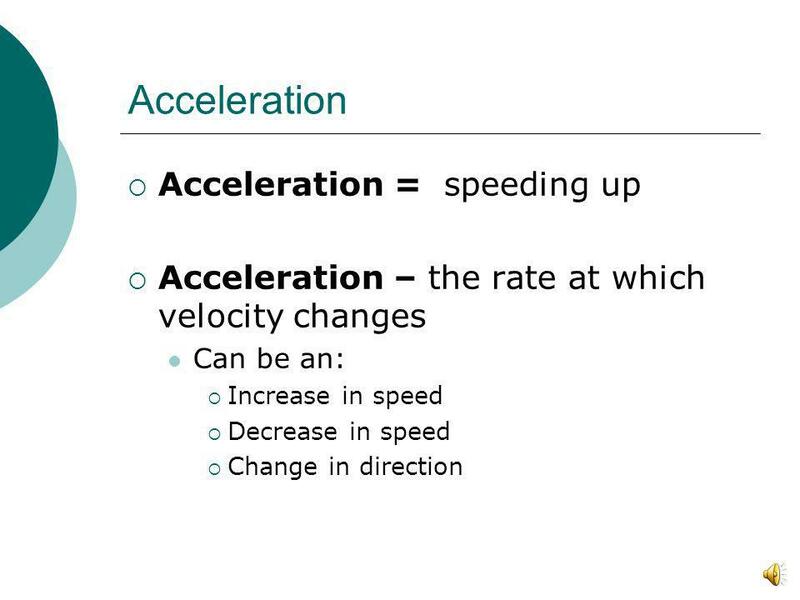 Write the equation for velocity. 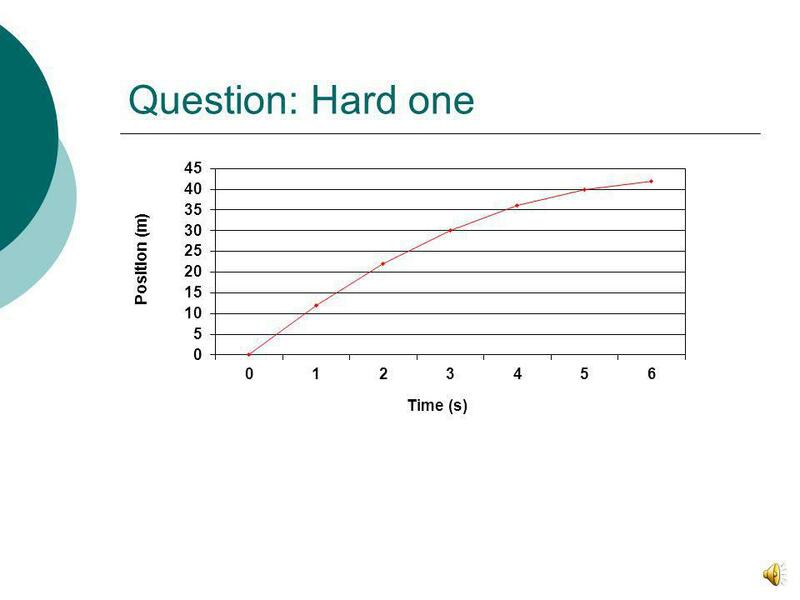 Change in Velocity Each time you take a step you are changing the velocity of your body. 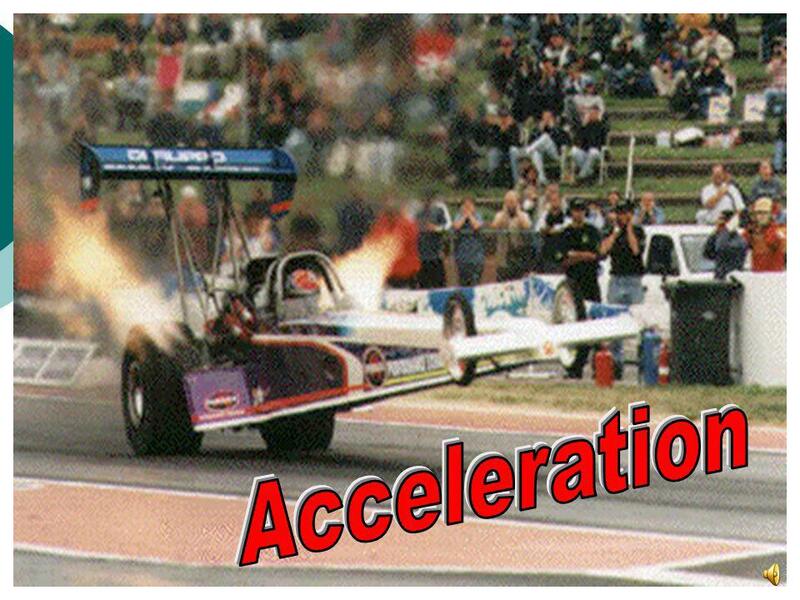 Each time you take a step you are changing the velocity of your. 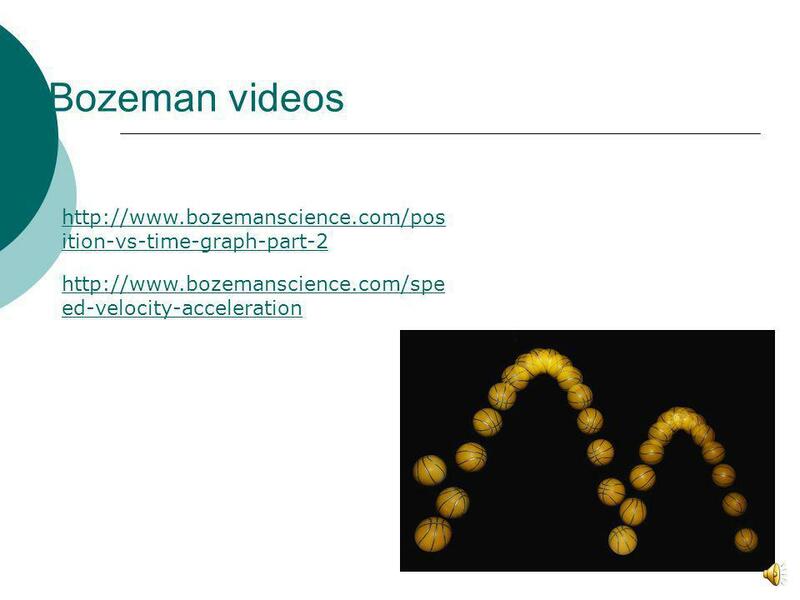 L How do you think scientists can visualize acceleration? 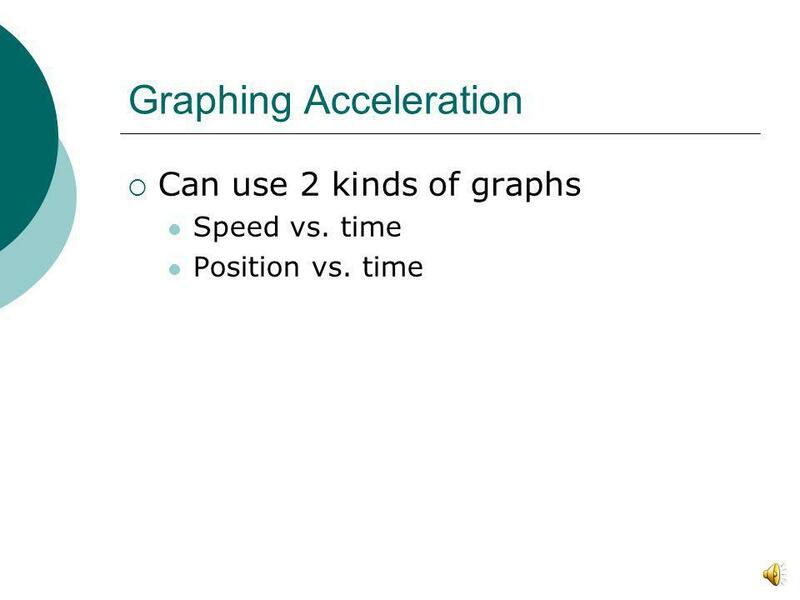 A motion graph l What are the two kinds of graphs we have discussed? 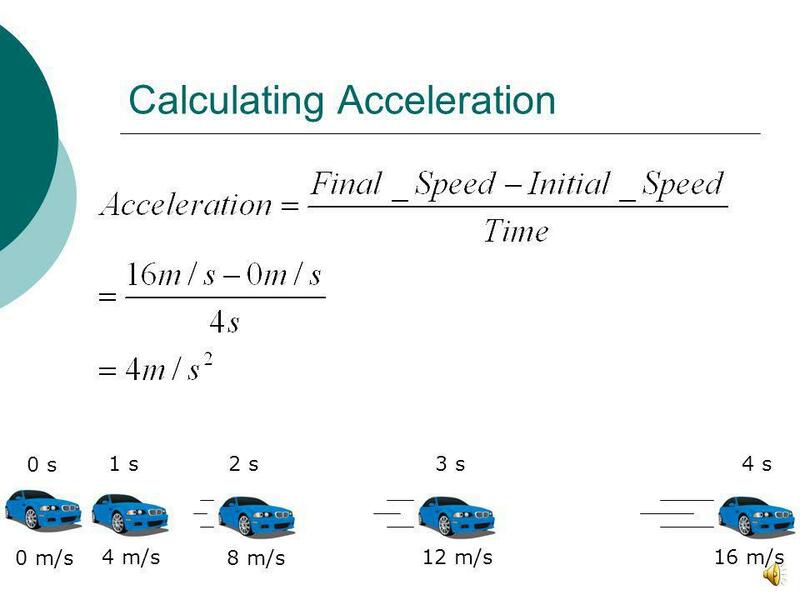 Position vs. Time Speed.